What is a Drone and what are they capable of? Robot technology is advancing at a rapid rate and one piece of equipment that every industry is tapping into is drones. Investment support and sales for drones have boomed over recent years as consumers have become fascinated with the unmanned aircrafts that can produce aerial photos and video footage, gather information with specialised built-in sensors, deliver items, help emergency services and even defend. 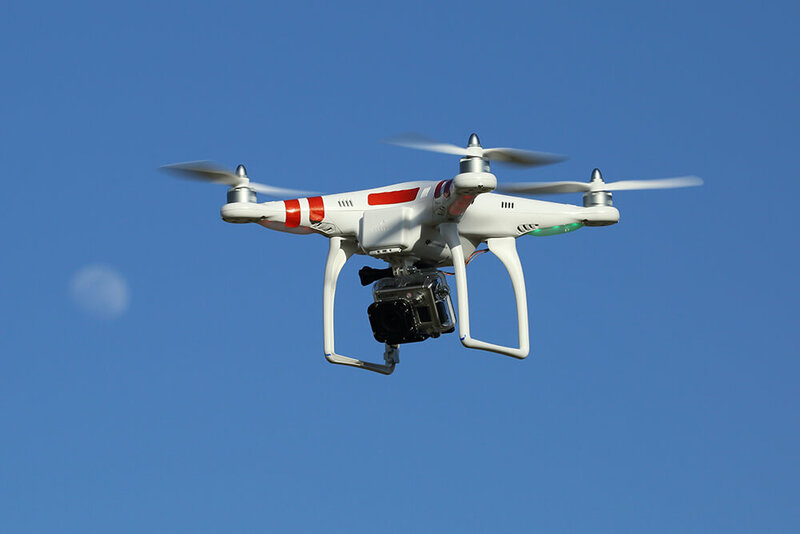 Drones are formally known around the world as unmanned aerial vehicles (UAV’s). The device can either be remotely controlled or it can fly by itself, working alongside GPS that follows flight plans. Industries such as agriculture, defence and logistics are latching onto the idea of drone technology, in hope that it could help decrease the cost of services and labour. It is predicted that by 2020, America will have a record of 30,000 drones in the sky, a number that is worrisome to many. 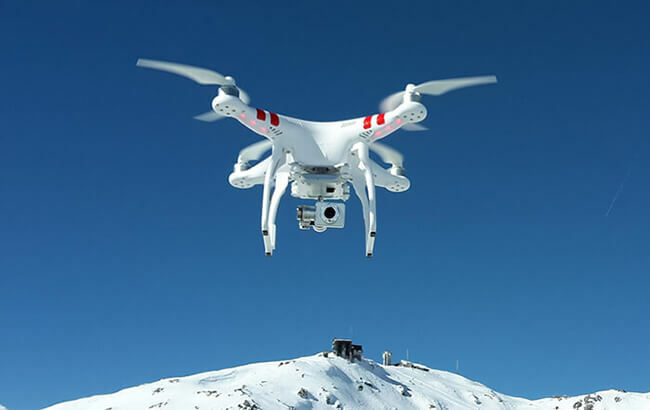 Concerns over security of drones are rising in the UK, as they infiltrate numerous industries across the world, yet there are huge advantages for businesses that use them. More than 500,000 British businesses are already utilising drones to increase efficiency and also open up potential new businesses opportunities. It comes as no surprise to find out that 63% of company drone users are media companies, seeking out aerial footage that no other camera can achieve. With prices for drones beating the cost of hiring a helicopter to film, it is a natural transition for the film industry that can achieve quality footage, with even 4k video drones available. Delivery companies like Amazon have jumped on the chance to develop a technology that could prove to save them time and money, while oil and utility companies are slowly incorporating the technology into their business plans. 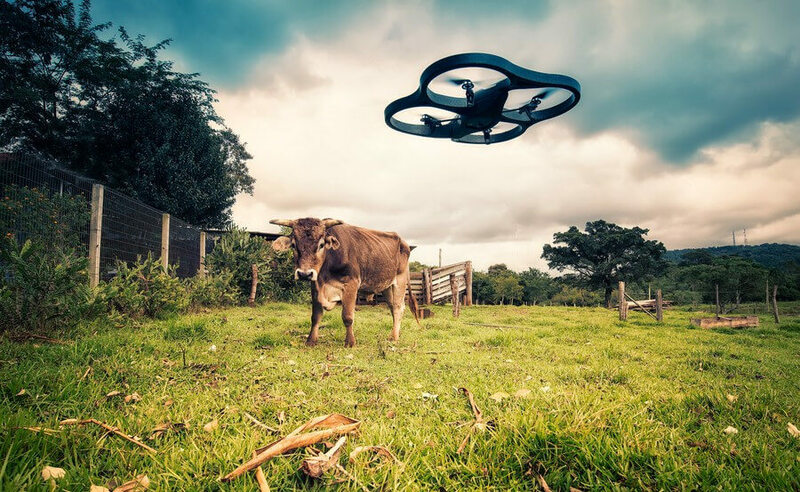 The agriculture industry has been the quickest industry to adopt the groundbreaking technology, with over 18% of UK businesses already utilising drones. Drones with built-in sensors can detect how mature crops are, measure moisture levels and evaluate drainage, saving farmers time and simplifying the process. Privacy is a highly debated issue surrounding drones, with such high surveillance proving to be worrying to some. However, regulations are on the side of the people and put their interests first. Drones are regulated throughout the world and rules are in place to protect the public and local landmarks. In the UK, drones cannot be flown within 50 metres of people, vehicles, heavily congested areas or buildings, and you must always keep drones away from airports and airfields (anywhere there could be a flight path). The Civil Aviation Authority state that if you wish to use your drone for commercial purposes, then it is essential that you take a course to prove and recognise your competency. Projected worth of the drone industry is set to rise from $3.3 billion to $90 billion by 2025, with more unmanned drones roaming the sky. But as the industry grows, it’s likely that regulations on flying drones will become stricter to encourage responsible use of drones. With Amazon developing unparallel drone delivery services, the armed forces utilising drones for gathering information and supplying humanitarian aid, and businesses around the world embracing the technology in hopes to reduce labour costs and speed up processes, it seems the sky is the limit for drone technology.